Shenker Russo & Clark LLP announced plans today to raise support for a scholarship fund through Cornell University in memory of the firm’s founder Cindy Shenker who unexpectedly passed away in March of 2018. 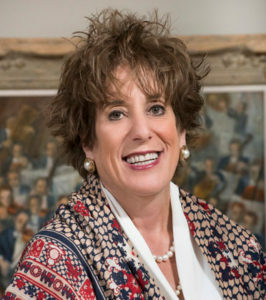 The Cynthia D. Shenker Scholarship will grant support to an undergraduate student with financial need in the ILR School at Cornell University. The scholarship will be awarded beginning in the 2019-2020 academic year with contributions from the firm, colleagues of Cindy and numerous other friends, family and clients. Cindy was inspired to create Shenker Russo & Clark in Albany, New York with Theresa Russo & Douglas Clark in 2015 and under their leadership, Shenker Russo & Clark has grown to a staff of nearly twenty professionals. Additional accomplishments include a recognition as one of the Best Places to Work by the Albany Business Review; a New York State certified woman owned business, as well as numerous other staff awards for community service and a commitment to diversity. She was recognized by the Albany County Legislature as a “Trailblazing Woman who has shown an outstanding commitment to our community and changed our history”; a Woman of Distinction Award presented by the NYS Assembly “for making a difference, showing leadership and continuing to inspire all.”; and by City and State’s Albany Power 100 in 2015 & 2016.